Net income for the holding company as a whole increased 9.7% in Q4. 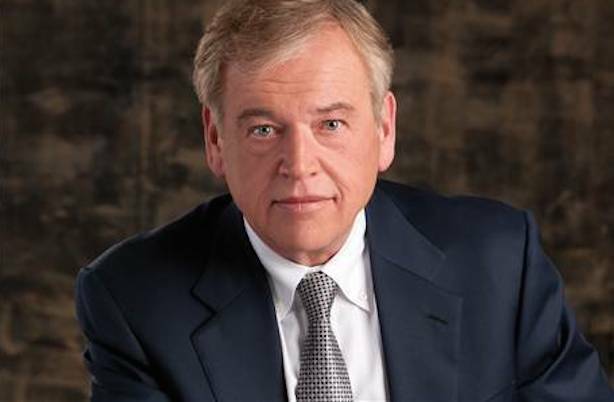 NEW YORK: Omnicom Group’s PR revenue jumped 8.5% organically in the fourth quarter of last year, compared with Q4 2013, to $368.1 million. For full-year 2014, Omnicom’s PR group reported 4.1% organic growth to nearly $1.4 billion. Omnicom's PR firms include FleishmanHillard, Ketchum, Porter Novelli, Cone, and Marina Maher Communications. For the holding company as a whole, revenue was up 5.9% organically in the fourth quarter of last year to $4.2 billion and increased 5.7% for the full year to $15.3 billion. Fourth quarter operating income was up 5.1% to $579.4 million, while net income increased 9.7% to $329.5 million. For all of 2014, operating income was up 6.5% to $1.9 billion, while net income jumped 11.4% to $1.1 billion. In Q4, the holding company’s PR unit kept pace in terms of percentage growth with its advertising agencies. Omnicom’s creative shops saw 8.5% organic revenue growth in the quarter to $2.1 billion, while CRM was up 1% organically, year-over-year, to $1.4 billion. The specialty communications group’s revenue increased 9.4% to $306.3 million. For full-year 2014, the advertising group’s revenue was up 9.1% organically to $7.6 billion, while CRM’s revenue increased 1.9% to $5.2 billion. The specialty communications group's revenue jumped 3.1% to $1 billion, compared with the year prior. In North America, revenue grew 8.3% organically to $2.3 billion, while organic growth in Europe rose 1.2% to $771 million. In Asia-Pacific markets, Omnicom reported organic revenue growth of 3.2% to $436.6 million in Q4, while it registered an organic revenue drop of 0.5% in Latin America $126.4 million. The holding company saw 14.1% organic growth in Africa and Middle East to $73.5 million. For the full year, North American organic revenue growth was 7.5% to $8.6 billion, while organic revenue growth in Europe and Asia-Pacific all of 2014 was 1% and 4.5%, respectively. Latin America saw 4% organic revenue growth in 2014 to $432.6 million. Omnicom's Middle Eastern business saw a 10.1% organic increase to $256.1 million in 2014. The holding company’s Q4 results also include $13.3 million in pre-tax charges, mostly comprised of professional fees, due to its terminated merger with Publicis Groupe. Organic growth represents change in revenue without taking into account the impact of acquisitions or disposals or currency fluctuations. While the agency CEOs contacted by PRWeek for comment about the earnings did not provide specific financial performance numbers, they all cited momentum going into the new year. "Porter Novelli saw more big wins in Q4, including T-Mobile and Dow Corning, contributing to our strong performance this quarter," agency CEO Karen van Bergen told PRWeek, via email. "And we rounded out the year with an influx in new business opportunities, carrying great momentum into 2015." In October, software company Citrix selected Porter Novelli's Voce Communications as its AOR for the US market following a competitive review that scaled down its agency roster from three firms to one. "We had a truly outstanding fourth quarter, driven in part by the election cycle, but also driven by strong performances in all regions," said FleishmanHillard president and CEO Dave Senay. "We have a positive outlook on 2015." The strong results in Omnicom’s PR sector reflect the "huge opportunity" of real-time marketing and the increasing tendency of clients to turn to PR firms for that work, Ketchum CEO Rob Flaherty told PRWeek, via email. "For example, at Ketchum, our creative newsrooms, called StoryWorks, are working overtime to produce and deliver content for brands around the clock," he said. "This work will only expand in 2015 and is increasingly just the way we do business." This story was updated on February 10 with more information from the earnings report and comment from van Bergen and Flaherty. It was updated again with comment from Senay.